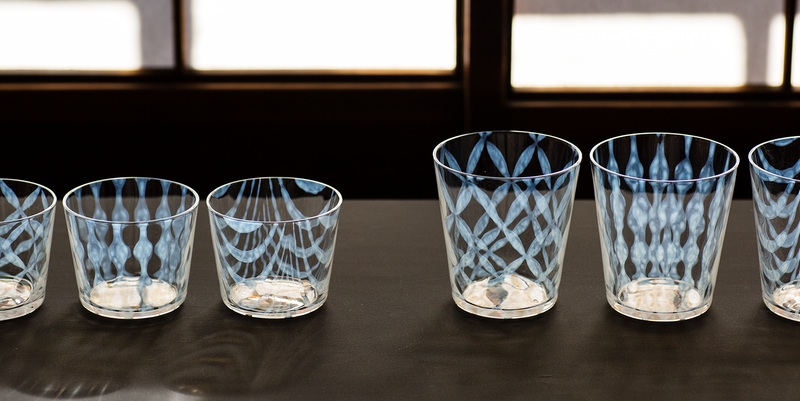 In Japan, the lack of in-depth study of Wa-Glass has endangered traditional glassmaking techniques that have been around since the Meiji period. 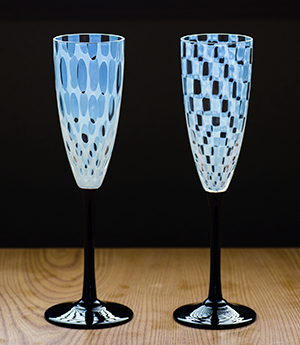 In the 1980s, Hirota Glass managed to resurrect the opalescent-colored glassmaking technique through trial and error, and used it to produce the most widely popular glass during the Taisho period. 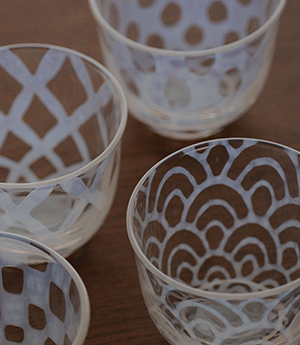 Hirota Glass successfully designed and produced the “Taisho Roman Series” using this technique. 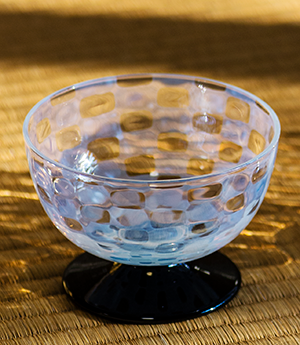 The Aburidashi Technique, which involves the shaping of glass in a patterned mold to create opalescent-colored designs on the glass surface, is a glassmaking technique that gained widespread popularity in Japan during the Meiji and Taisho periods hence the name, “Taisho Roman.” “Roman” derives from the words romance or romantic, that depicts dream, passion, and adventure in the Japanese language. 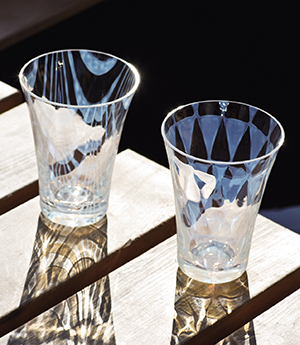 Except for select antique glassware shops, glassware made using this technique has become rare in recent years. 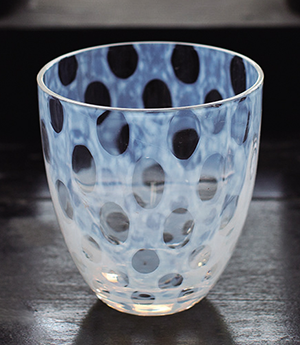 By using a raw material that includes “Bone Ash,” opalescent colors can be produced by taking advantage of its specific properties. 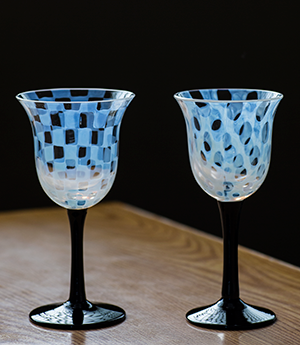 These colors are produced through the exposure of the raw material to a sudden change in temperature during the process of glass heating and cooling at the time of molding. 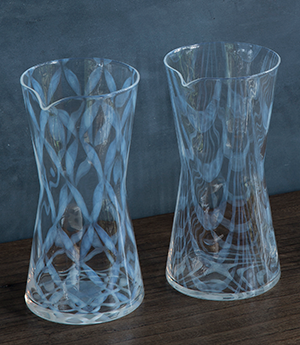 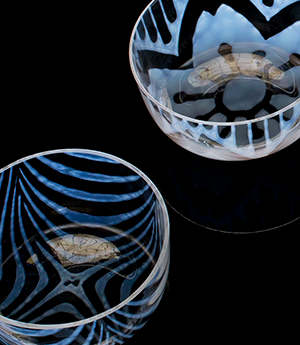 Through this manner, the “Aburidashi Technique” can generate a variety of artistic patterns in the glass.